Svastha Ayurveda is an herbal apothecary located in sunny Boulder, Colorado. We have been handcrafting organic apothecary products since 2011. Our unique recipes are carefully created by Danielle Martin, owner and Certified Advanced Ayurvedic Practitioner and Herbalist. These specially made formulas are a traditional blend of Ayurvedic herbs and substances, intelligently formulated using a synergistic approach to enhance their potency and effects. Click here for our full list of Ayurvedic Products! 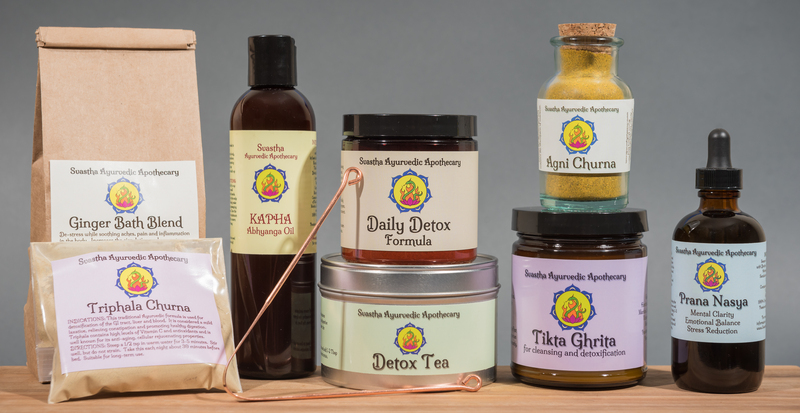 Svastha Ayurvedic Apothecary is well known for its high-quality products and powerfully healing formulas. Each recipe has been prepared using traditional Ayurvedic methods, taking time and patience with each batch to ensure the highest level of potency. In fact, some of our products undergo a 60-90 day formulation process!